- seat occupancy sensor and many others. 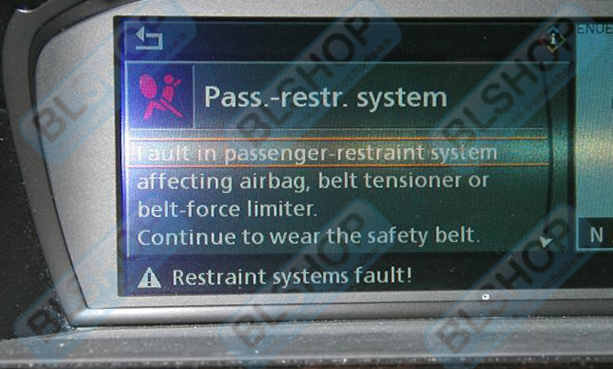 The most common reason why the message Pasenger’s / Driver’s Restraint system fault appears is the seat occupancy sensor fault in the passenger's seat or (only in 7 Series) in the driver's seat. Also often fault are the seat belt pre-tenstioner, BST and less frequently airbags. Do the computer diagnostic to find out which SRS component is faulty. Please remember that the message displayed on iDrive will not show which component is faulty! Only connecting to diagnostic machine can unequivocally point which one is. 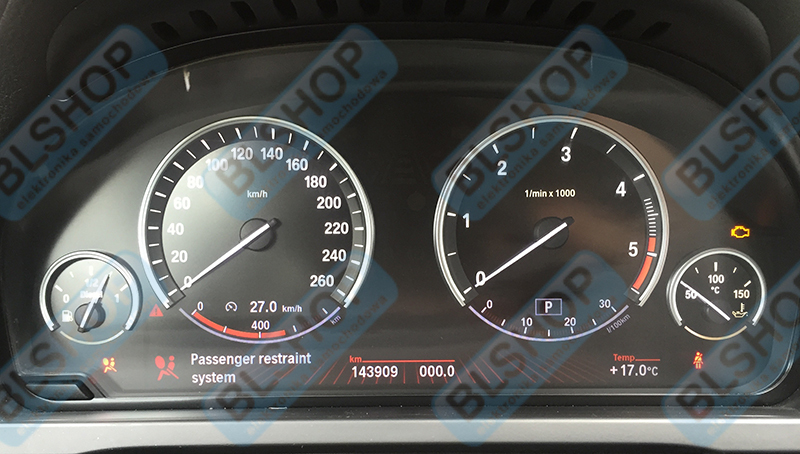 Unfortunately, many mechanics can not do the proper diagnostic - our customers often say they did the computer diagnostic but they still don't know anything and don't have a clue which device they need. To avoid such situation, print the diagnostic protocol and ask your mechanic to fill it in. On the basis of it we will tell you which one device you need - you will save time and money! There are situations that diagnostic machine shows one of components fault though it is not faulty. In order not to spend a fortune for exchange working component you can use one of our devices to make sure that this one is the reason of the message - visit our shop.